Cloud computing infrastructure has been there for a while now but the recent influx seen in the sector is the result of technological advancements, ease of migration and reducing costs. Organizations have understood that cloud computing is the future for the rapid growth. Organizations are quickly migrating to cloud environment and making the most out of the benefits the technology has to offer. Companies also should understand their data structure, requirements etc before choosing cloud migration strategy. 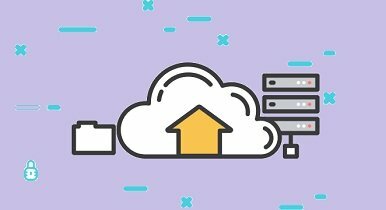 That being said and out of the way, while one is planning to adopt cloud infrastructure in their business, they need to adopt or at least plan a certain strategy for the process to give the expected results. Re-host cloud migration strategy is implemented by that organization which wants to conclude its cloud migration process quickly. As the name sounds, lifting from one environment and shifting to another environment. Another contributing factor for choosing this strategy is to provide the workforce with the necessary time they need to brush up on their skills. In Re-platform cloud migrations strategy, the core architecture of the organization remains the same. It is a quick migration strategy, same as before that is known for its ability to reduce overhead and management costs by many folds. Depending on their needs, an organization can abandon their existing service provider and shift their entire architecture to a new cloud based application. An example of such a transfer is shifting from one CMS application to another. Successfully reposition itself in the market. Cloud migration retire strategy is often adopted by businesses especially when they are migrating to the cloud infrastructure. It is the strategy that shows them which resources they are not using to their maximum potential. By retiring those resources, a business can reduce its operational costs by many folds. Cloud migration is a lengthy process but the same can become seamless given the business is doing all that it can to focus on the little things. It is best to start identifying those processes that are small yet critical to the business. Post identification, migrate the application to the cloud. In this way, one can gradually migrate the entire architecture of their business to the cloud without the need to shut down the entire business.